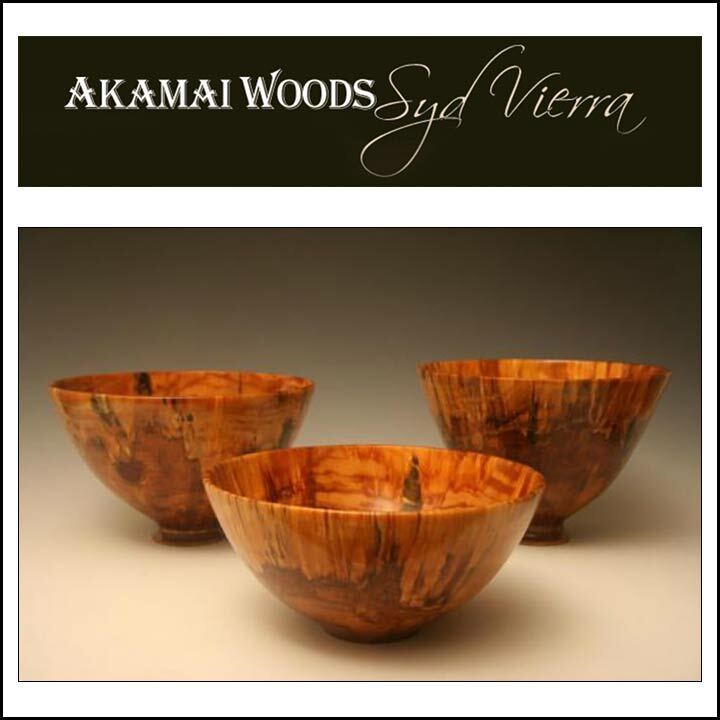 Syd has been wood turning since 2001 and is considered one of Hawaii's finest. His portfolio features traditional Hawaiian forms as well as explorations in new shapes and finishes with hand-mixed dyes to create an utterly unique finish for each bowl. Syd works in koa, kamani, milo, kou, Cook and norfolk pine. Reknown for his craftsmanship, attention to detail, and passion for his Hawaiian cultural traditions, he recently earned the official title of Kālai ‘Umeke (expert bowl maker) and official Bowl Maker of the Royal Order of Kamehameha I. For more information about Syd's art contact him directly. Frank Chase has been operating a one-man furniture design and production studio for 45 years, and living on the Big Island for 30 years. His work focuses on economy of line and form, with emphasis on careful conservation of resources and a sustainable approach to his craft whenever possible. Frank welcomes inquiries for custom commissions. Ryan Donnelly is a well versed craftsman specializing in modern kitchen and bathroom renovation, custom stone and tile work, fine woodwork, and metal work. He uses a combination of his talents to build one of a kind furniture and homes bringing superior fit and finish with a broad imagination. "My mission is to use my experiences in the hot rod and racing industries combined with my background growing up with woodwork and home renovation, to design and build original modern home decor and renovations with a tropical twist"
Hand made, one-of-a-kind, high end studio furniture made by Swedish woodworker. Made from Koa wood and other local woods from Hawaii. Selected exotic hardwoods are also used. "My goal is to create pieces with a "one of a kind quality", and at the same time the customer will be able to recognize and connect with the piece. I believe wood is a living material, and I am excited about bringing out the soul within so as to allow the wood to express itself. Listen carefully, and you will hear my furniture speak to you! Tevita Kunato in beautiful Hilo Hawai`i. In a nutshell, If you have a request, I'll make it happen! I produce custom, artistic items, that are difficult or impossible to find anywhere else. Authentic outrigger canoes, one of a kind furniture pieces, antiqued canoe paddles, relief carving for doors or wall art, sculpture, custom carved trim work, tiki bar decor, hotel decor, and residential. If you have a vision, share it with me and I'll find a way to make it come to life. Sculptor Gregory Paul has two different ways in which he creates. One is to visualize the piece in its entirety, and the another is to find the wood and allow the imagery and form to reveal itself. Drawing on his ever-present creative well and lifelong experiences in crafting and constructing, he produces interior wall hangings, free standing sculpture, and outdoor monumental mixed media installations. Each of Gregory's sculptures are greatly influenced by the powers of mother nature and celebrate the energies of the islands. Innovative designs, expertly handcrafted in fine Hawaiian hardwoods. As a fifth generation woodworker, my passion for woodworking has driven a career of over forty years and continues to fuel my creative process. I seek to balance the aesthetic with the art and engineering to create an object of beauty never before seen. I combine the art with the craft so the spirit of the tree can live on, enriching the lives of the people for whom it was created. Our studio is located in a one hundred year old coffee processing building near the community of Holualoa. I build Tansu, Shoji, and small timber frame structures along with cabinetry and fine furniture rich in detail, fit, and finish. Much of my work is influenced from Japanese domestic furniture and architecture but I am not limited to this scope as I can customize for any commission. Located in Hilo, please contact me directly so I can assist you. John Strohbehn is an exceptional sculpture artist and designer living on the Big Island of Hawaii. Using wood and stone, his sculptures create flowing abstract movements that speak directly to the source of the material. Vincent and family run and operate Big Island Beds in Hilo. 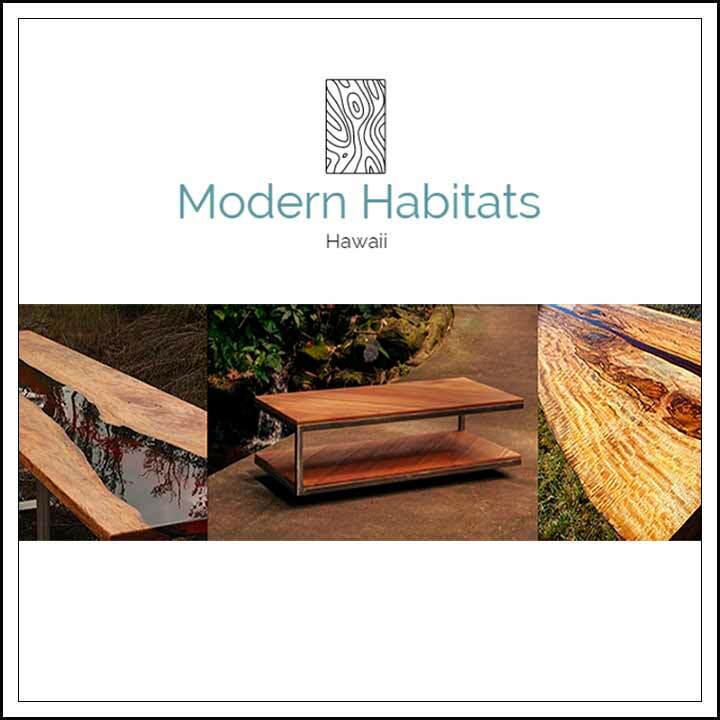 Specializing in handcrafted solid wood custom beds, furniture, home and lifestyle goods using Hawaii hardwoods that are grown and sustainably milled locally on the Big Island of Hawaii. Shipping available to all islands. Please contact us to learn more. On the corner of Manono at E. Lanikuala in Hilo.